Short Term Loans for Poor Credit Borrowers. Hit with an immediate financial crisis? Repair it with a short term loans online. As the name implies, it is meant to fix short-term budget shortfalls only. It is a great and reasonable borrowing substitute to other traditional lending options online because there is no upfront collateral required to avail the loan. Qualifying for online loan advances is a best way to finance utility bills, single expensive purchase, manage cash flow, deal with the need for extra cash, college education, etc. The loan amount is typically repaid over time by consistent payments of principal and interest. Being steady and accountable is of utmost importance with such a loan because short-term loan when paid back on a regular basis can protect you from long-term debt. Applying for an online short term loan is easy. It is understandable how stressful it is to go through a lengthy and complicated lending procedure at the eleventh hour when you need financial help quickly. 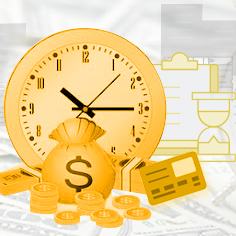 But applying for a fast cash loan online is easy, fast and simple taking not more than three minutes. Moreover, online convenience gives you an access to loan application round the clock. Also, you need not have worries concerning your financial safety because the entire funding process is safe and secure. Just fill out the online application with your basic data and banking details to request for the desired loan amount. Upon submitting the request, the loan decision is conveyed immediately. Once the loan amount, fees and repayment schedule is approved, the quick cash is transferred to your account through ACH. Keep your short term cash loan as short as possible. Personalized repayment schedule that comes along with the online loan advance, offers you the much needed switch to manage your payments. Based on your repayment affordability, you have the privilege to choose smaller repayments over longer time or larger repayments over short time. Although distribution of your loan over a longer period may bring down your monthly payment, it also means repaying considerably more for the loan. Because, as the payment duration increases, the interest rate over the requested loan amount also increases. Hence, as a responsible lender, we suggest you to retain your repayment period as short as possible. 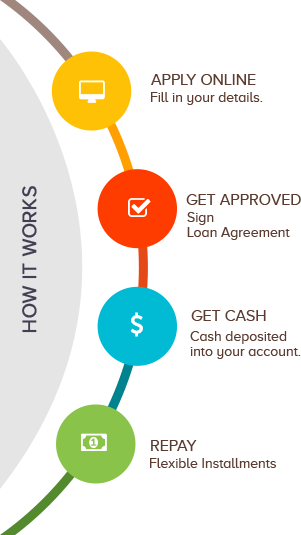 Learn why cash advance direct lender is the right choice for you. The biggest benefit of instant cash loans is their certainty. Monthly payment remains steady throughout the loan tenure helping you to be informed on your exact monthly payment. Thus, you can manage your budget accordingly. Besides your payments are not disturbed by the changing interest rates because of their fixed nature. Unlike other conventional lending systems, direct cash loans do not require you to put any of your asset as collateral. It also gives you the facility to pay off your bad credit loan a little earlier than intended without any pre-payment penalty. Moreover, the credit requirements are very few. Considering all these advantages, short-term installment loans qualify as the ideal funding option in all likelihood.